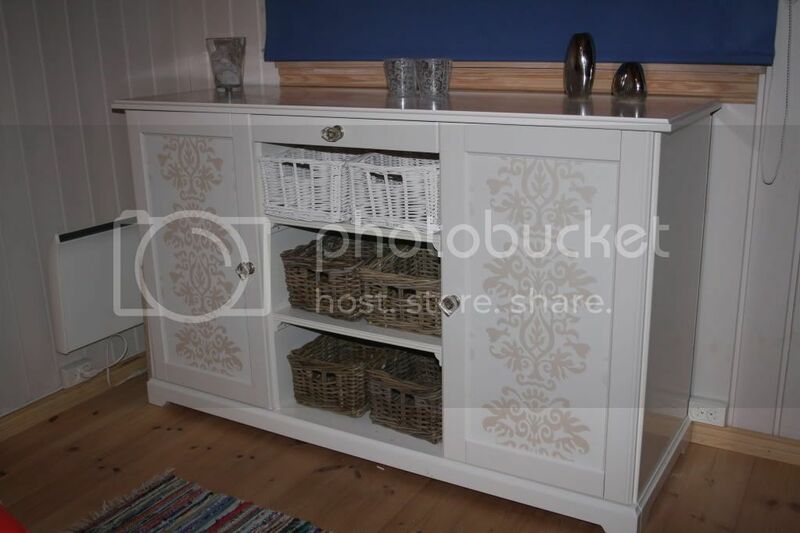 Description: We bought a used sideboard online, actually an IKEA furniture called Liatorp Skjenk. 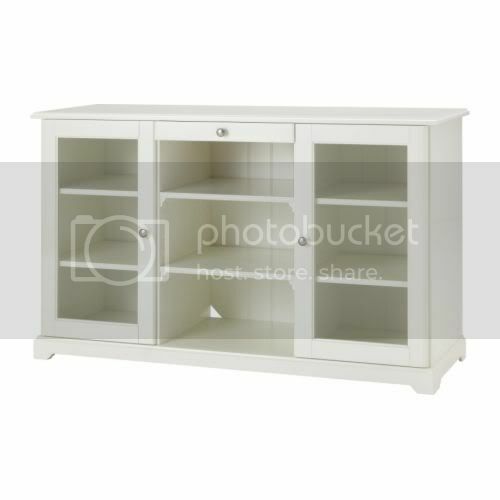 The sideboard was nice, but we needed a sideboard for the bedroom, and the original one wasn’t really fitting in. So I decided to do something about it. 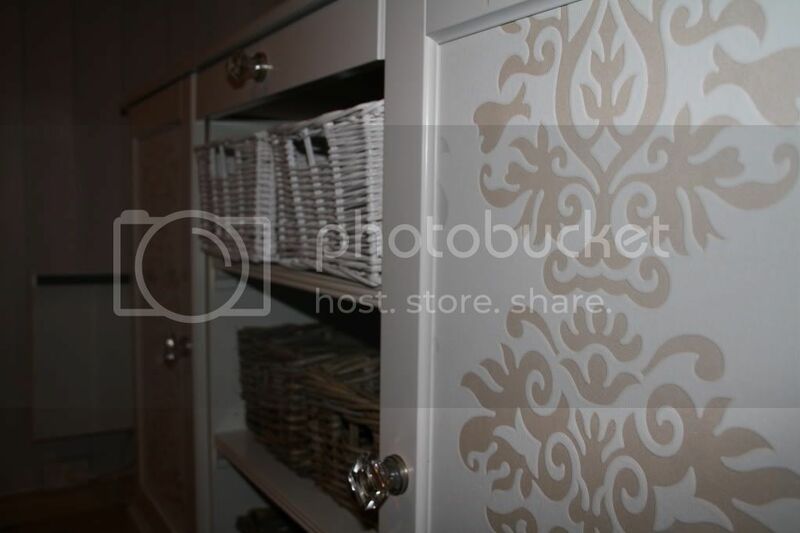 I had some nice wallpaper lying around from the last dresser i refurbished, and though maybe I could dress the doors with it, the question was how. The first challenge was to figure out if it actually was possible to put wall-paper on glass, so while at Bauhaus I asked them. 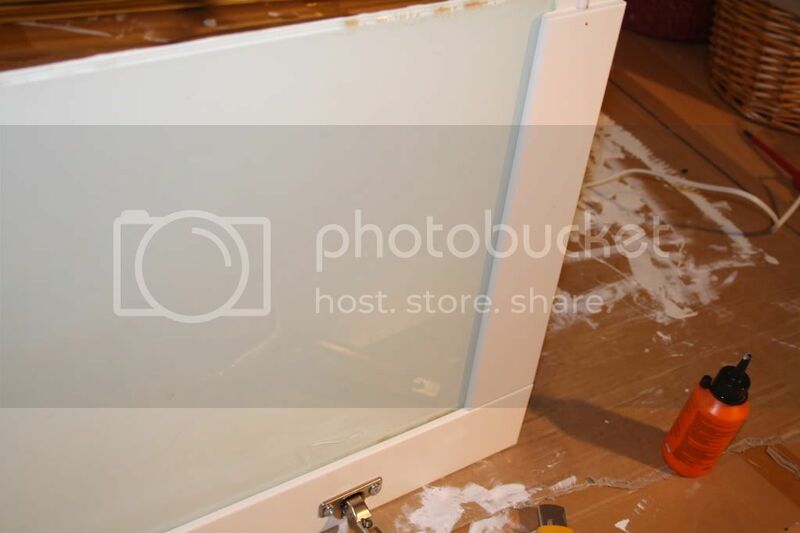 Thy didn’t really want to answer me, since they didn’t know if it would work, but they finally said that it could work if I primed the glass with an oil-based primer. So that’s what I did. 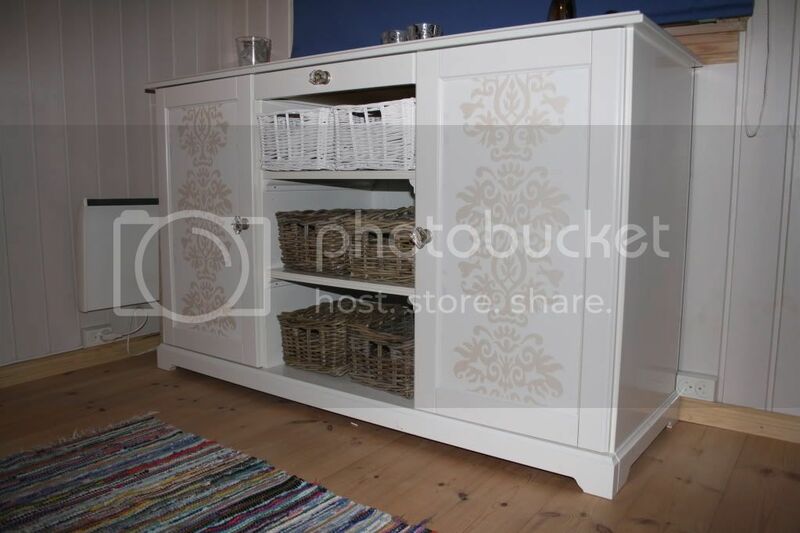 When we picked up the sideboard, one of the doors fell apart, and I thought, great, it will make it much easier to paint and wallpaper the glass without the door-frame. 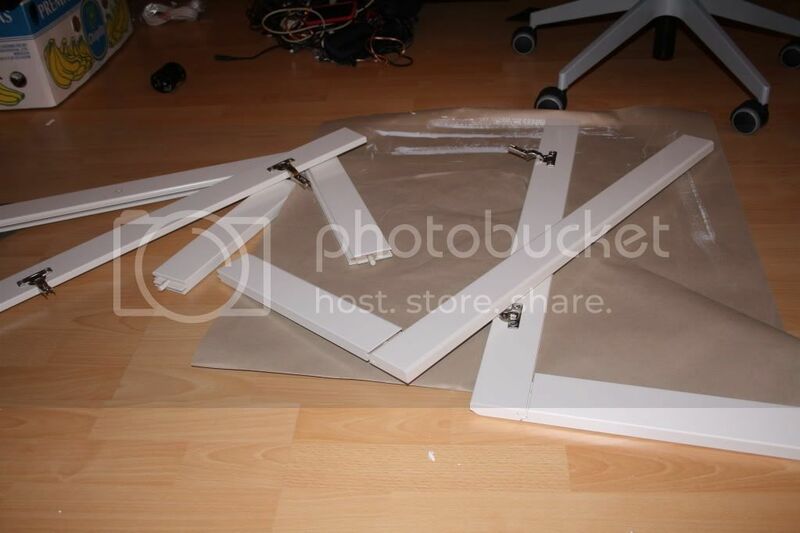 The other door was about as easy to disassemble. 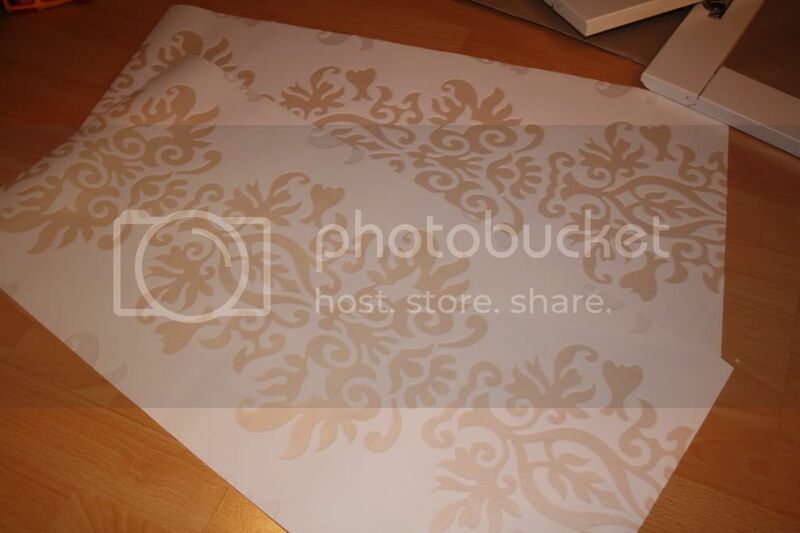 The first I did was to cut out the wall-paper I wanted to use. 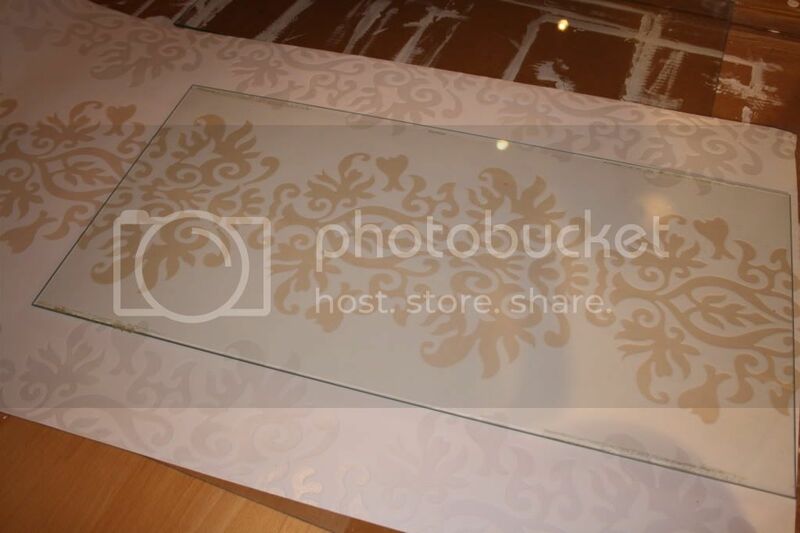 I did this by placing the glass on top of the wall-paper and cutting the edges with a wall-paper knife. Its important that the pattern are the same on both doors (that the pattern start and ends the same place). 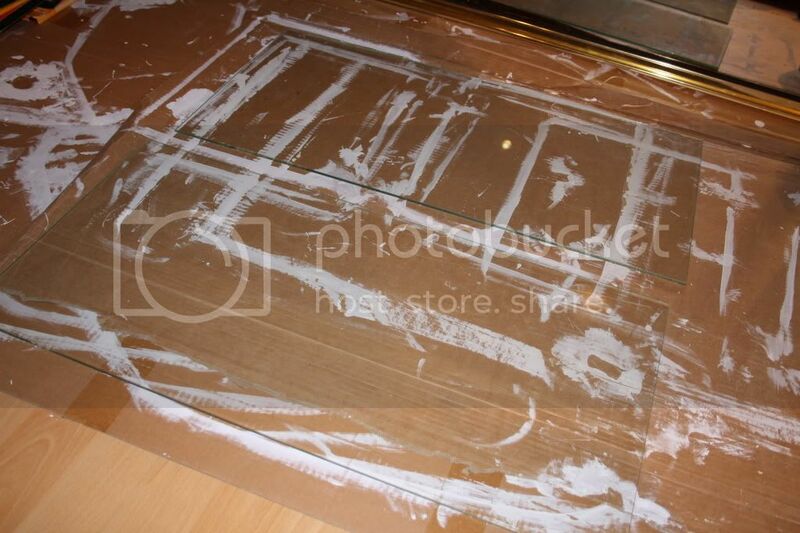 Use the small paint roller and roll primer all over one page of each glass. 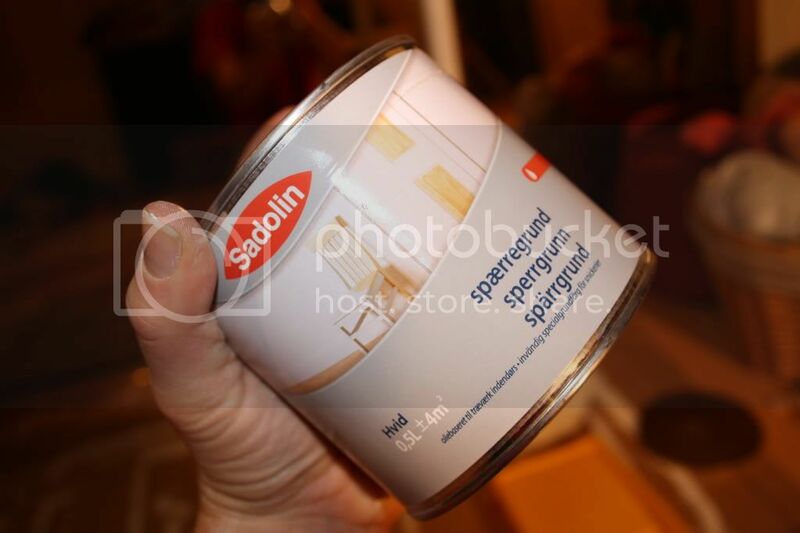 When the primer has dried (read on the box), put on wall-paper glue with a paint-brush all over the glass. 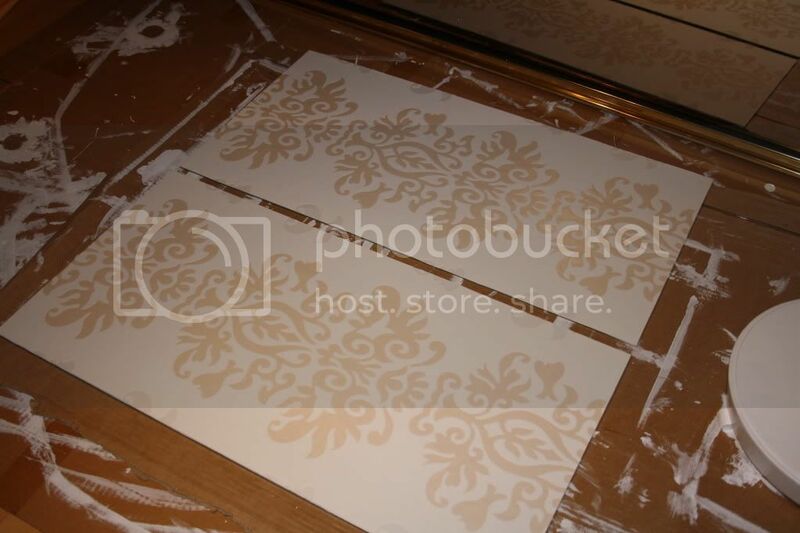 Put on the wallpaper and squeeze out all the air bubbles. 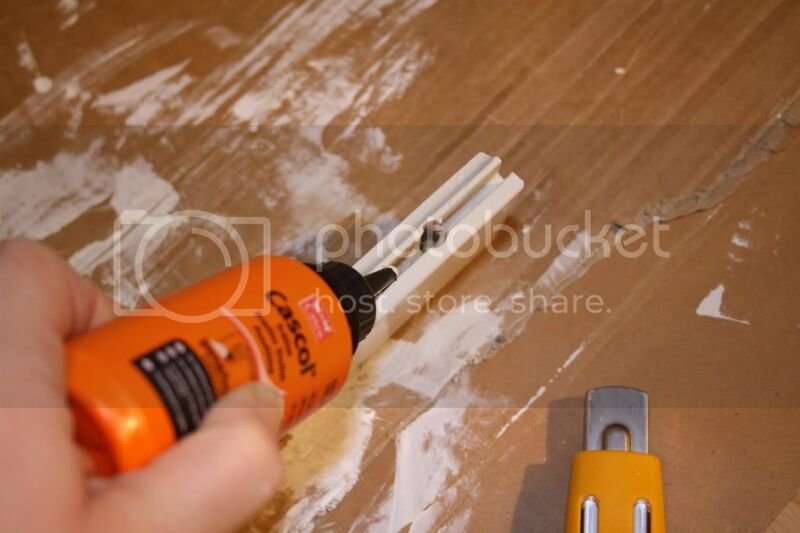 Remove any glue that squeezes out on the sides and let it dry over night. 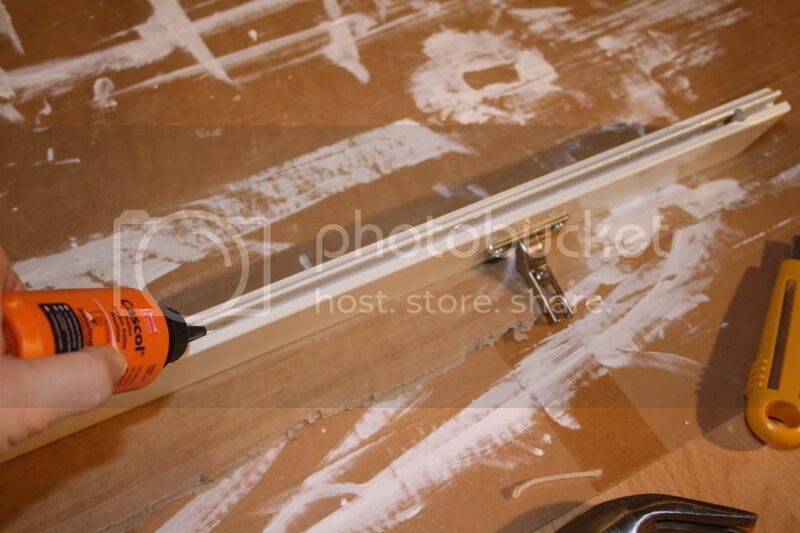 Disassemble the frame completely and fill the wide part with the hinges with hobby glue, put a little extra where the tree plugs are going in. 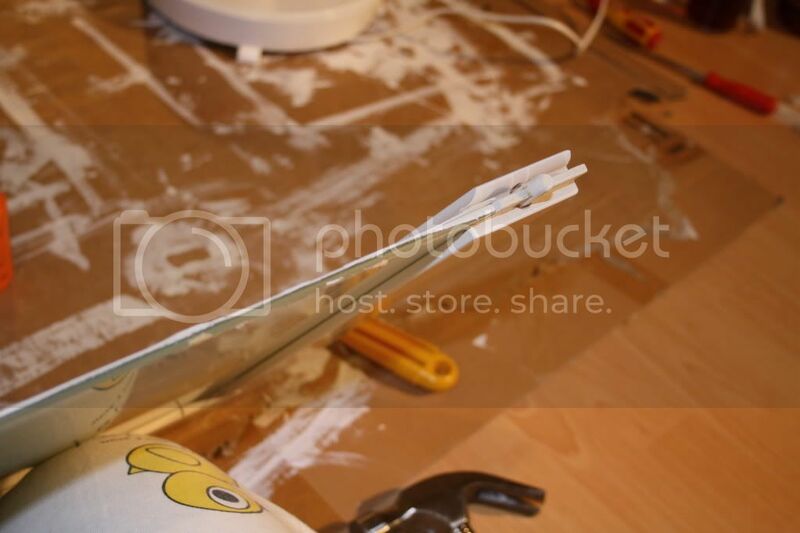 Assemble one of the short parts, fill it with hobby glue and assemble the glass. 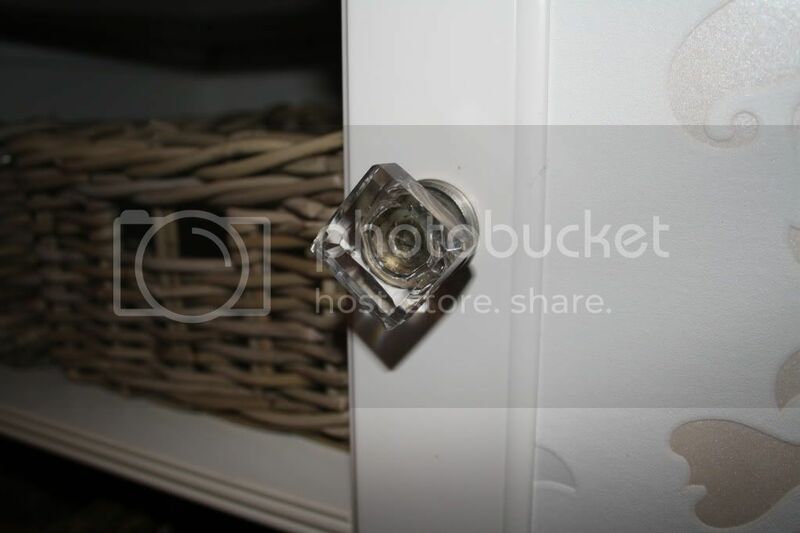 The long part can be pretty tight, so be careful that the wall-paper do not curl upward, but slide in the crack with the glass. The short part is more roomy. 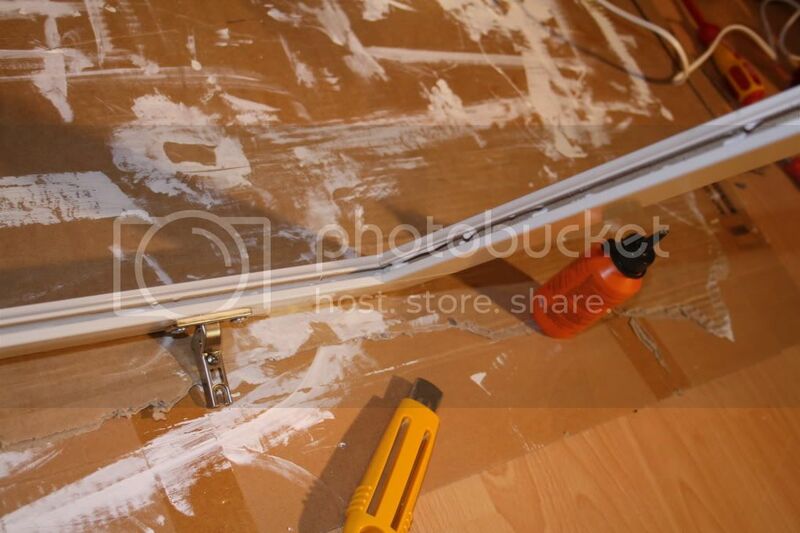 Assemble the last short side (filled with glue), and last the last long side (filled with glue). 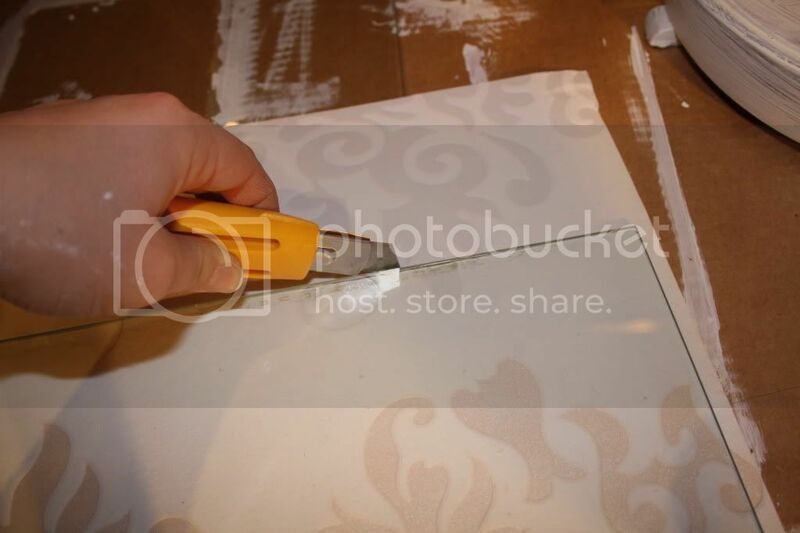 You might need to bang it a little, but be careful that the wall-paper follows into the crack. This is so much work and the result is so great! Well done!